Winter Weather Preparedness Week concludes today. Throughout the week, KiowaCountyPress.net has been running daily safety and preparedness tips. Friday's article about avalanche safety can be found here, and each article throughout the week contains a link to the previous day's preparedness information. Enjoy the great outdoors in Colorado this winter season, but watch the weather. The National Weather Service issues a variety of winter weather outlooks, watches, warnings, and advisories, covered earlier during this Winter Weather Preparedness Week. Safety tips were also passed along. An example of severe winter weather occurred in March 2003 across the eastern foothills, adjacent plains, and mountains. Snowfall amounts ranged from 80 to 110 inches, along with strong winds in some areas. The Denver metro area averaged nearly three feet of snow. The storm was well forecast, and people heeded the warning, so casualties and impacts were mitigated. More recent examples of what can happen during the winter weather season were the heavy snow events of December 2006. Back to back major storms occurred the third and fourth weeks of the month across eastern Colorado. Heavy snow accumulated over three feet deep in some areas. Strong wind created 12 to 20-foot snow drifts, and thousands of ranch animals fell victim. Travel was hampered for days in the hardest hit areas. More recently, a blizzard occurred the last week of March in 2009, causing life threatening conditions across the eastern plains. During the past few years, powerful winter storms brought blizzard conditions to the mountains, which threatened and took lives, due to avalanches and severe winter driving conditions. 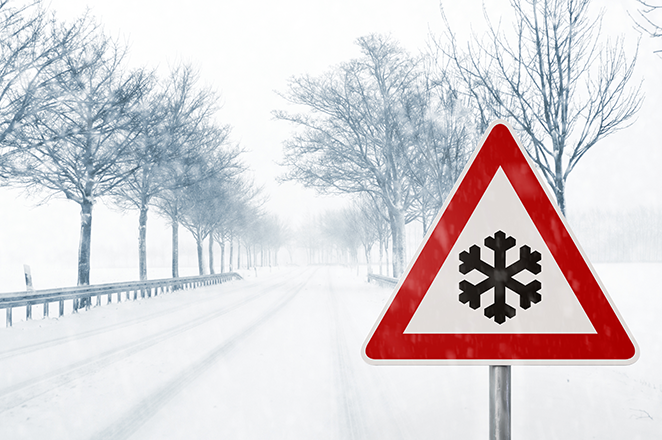 Before winter weather threatens this season, you should prepare a winter safety kit for your vehicle. When planning travel, check the latest weather forecasts. A valuable companion when heading out is a battery powered NOAA All Hazards Weather Radio, the voice of the National Weather Service. It provides you with the latest weather conditions and forecasts. You can pick one up at your local electronics or department store. All these efforts help build a Weather-Ready Nation, which will make America safer by saving more lives and protecting livelihoods. Weather information updated throughout the day can be found at http://KiowaCountyPress.net/weather.